Raytek is introducing the Equipment Monitoring System (EMS), a non-contact temperature measurement system that enables round-the-clock condition monitoring of actively powered components or operating machinery, supporting predictive and preventive maintenance. 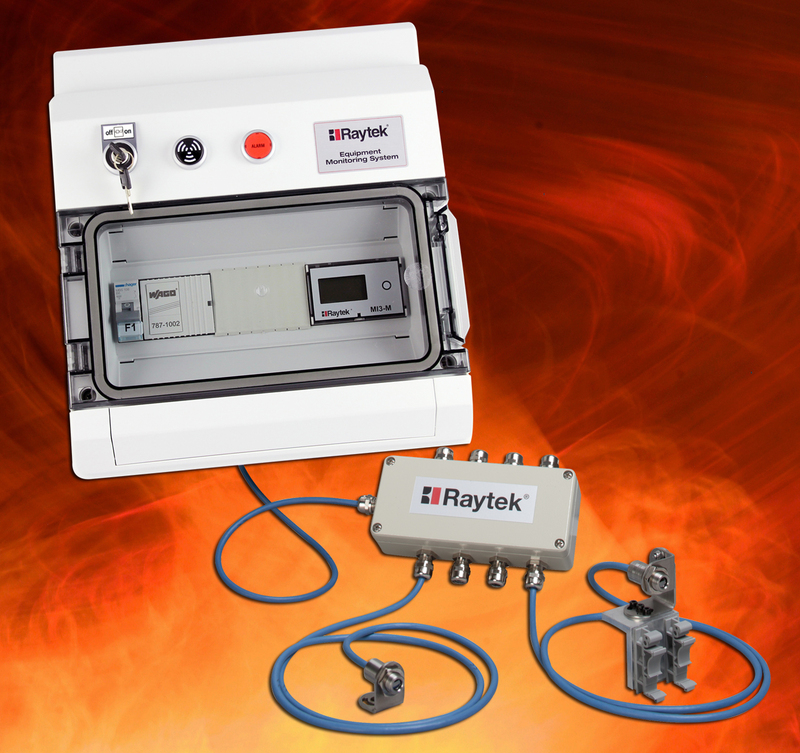 Detecting temperature rises or spikes on the surface of equipment, the Raytek multiple head solution acts as an early warning device for critical assets, including switchgear and electrical cabinets, electrical motors, pumps, furnace controls and heating elements. It gives operators notice of thermal issues as they begin to occur, as well as recording data for trend analysis. Early detection of heat-related faults and failures, along with maintenance performed as needed and not when estimated, result in reduced maintenance costs, less waste from unexpected downtime and higher safety. Temperatures are displayed on the system's LCD control module and/or remotely through the PC-based, Windows 7-compatible DataTemp Multidrop software.